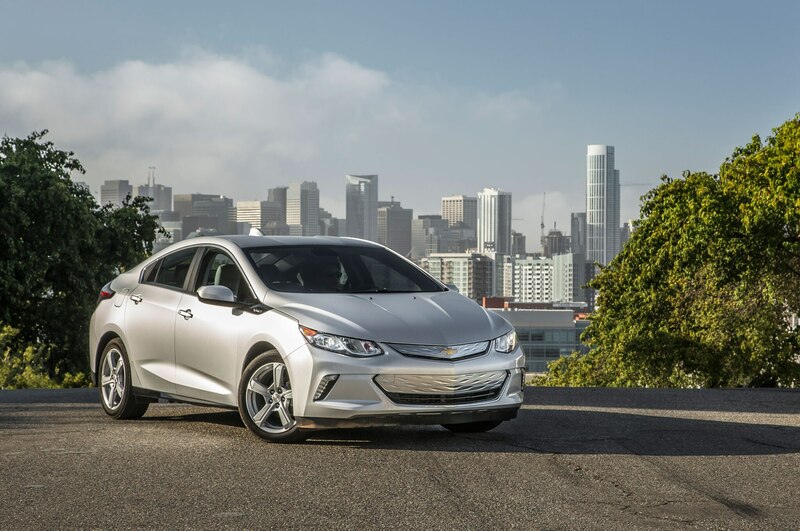 GM’s chefs score with new electric range. Big Sur, California — From San Jose, the drive to coastal Highway 1 in this soul-stirring corner of the Golden State — 1,000-foot cliffs, redwood forests, the sparkling Pacific extending into forever — runs about 120 miles. 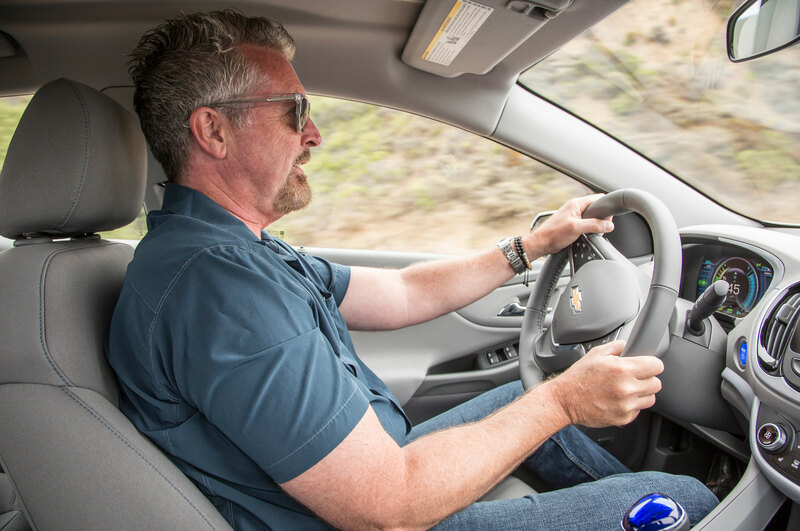 Piloting the all-new 2016 Chevrolet Volt, I made it almost halfway on electric power alone. 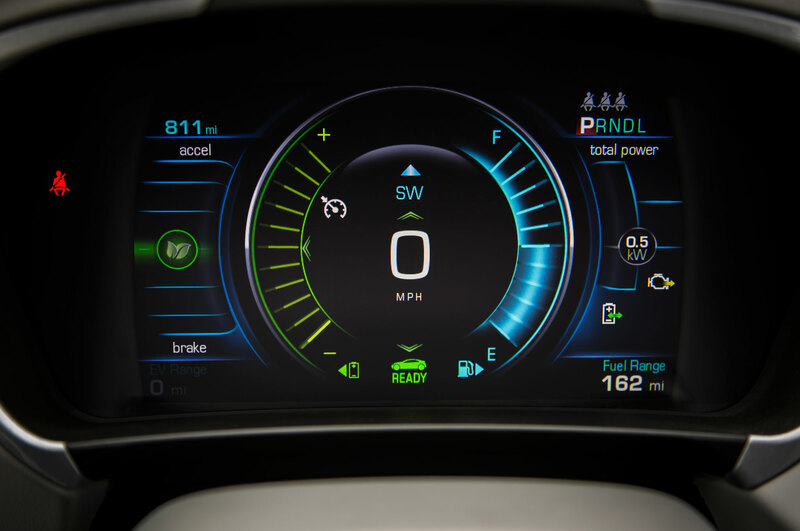 The EPA rates the car at 53 EV miles before the gas-powered “range extender” kicks in, but if you’re mindful of the consumption displays and careful with the throttle, it’s possible to stretch that a bit. 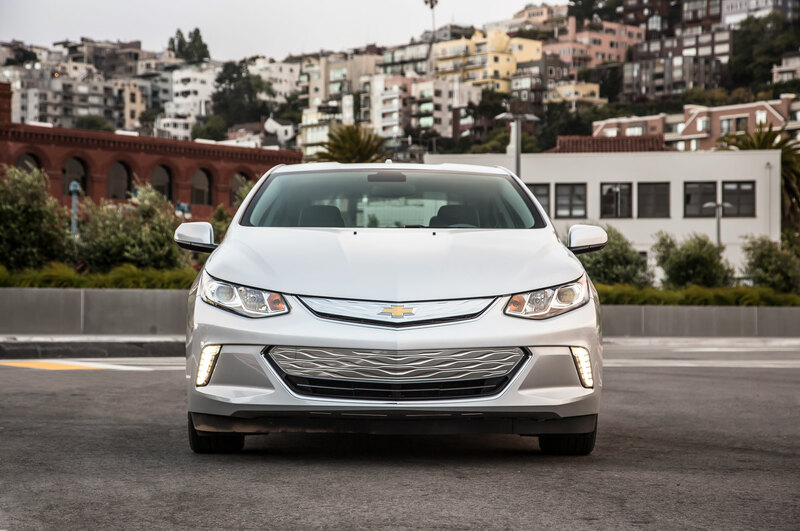 In any case, 53 miles represents a 35 percent bump in EV range compared with the first-gen Volt — enough, Chevy says, that 90 percent of owner trips will never light up the gas engine. Conceivably, an urban commuter might not have to visit a fuel pump at all. 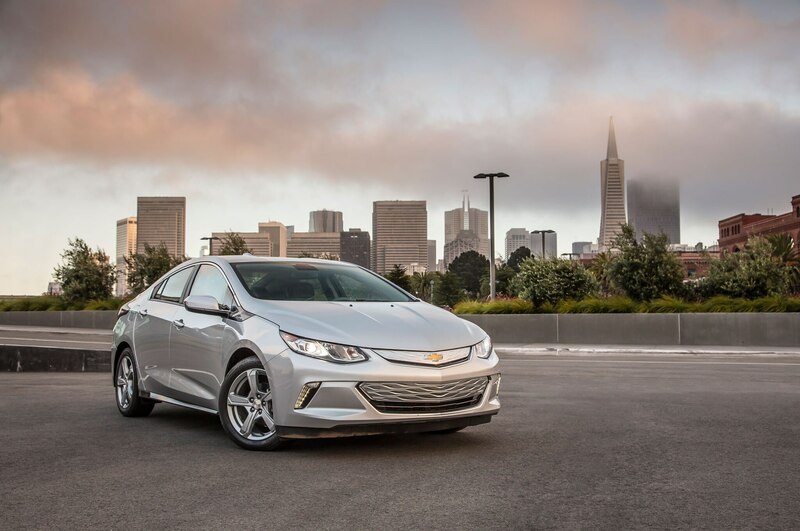 Clearly, the Volt team paid lots of attention to customer (and journalistic) feedback. 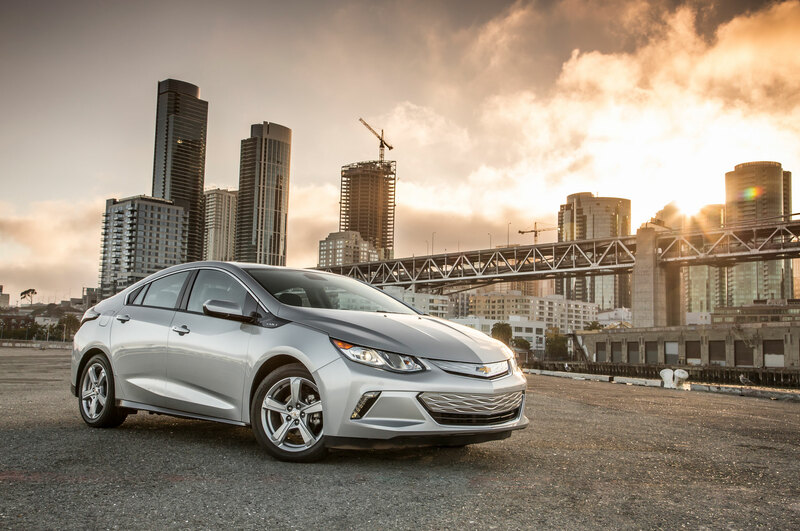 The new Volt addresses every one of our original criticisms — and succeeds on almost every front. The headline news, of course, lies under the bodywork. There you’ll find a new 18.4-kW-hr lithium-ion battery pack (versus the old 17.1-kW-hr battery) that makes use of revised chemistry to increase efficiency and output while reducing size. 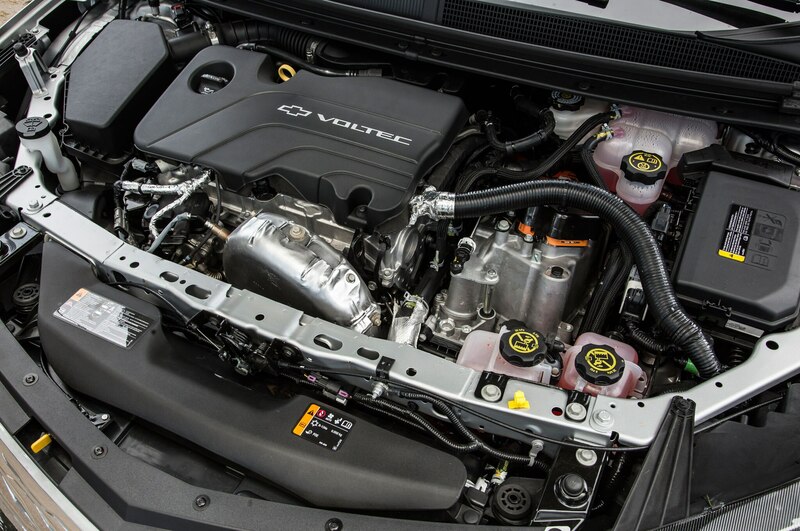 Also new is the 111-kW two-motor drive unit; compared with the old Volt’s, it’s smaller and lighter yet more powerful. The engineering advances in the new system are as dazzling as they are complex, but the many benefits include: a whopping 100-pound drop in weight, 80 percent reduction in the use of heavy rare-earth metals, 20 percent boost in storage capacity while using fewer cells (192 versus 288). Torque is also up (to 294 lb-ft), helping cut 0-to-30-mph acceleration to 2.6 seconds — a 19 percent improvement. 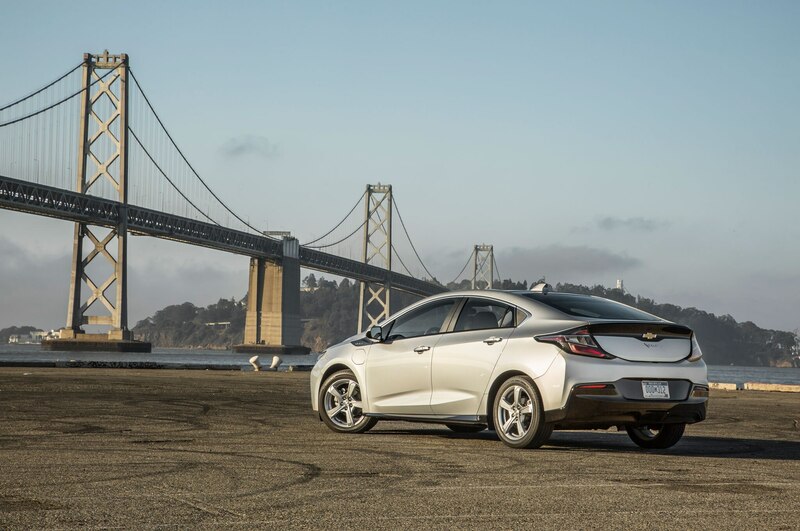 If nothing else had changed, the boost in EV capability alone would merit uncorking a magnum of celebratory Moët (increased all-electric range ranked near the top of current Volt owners’ wish lists). Well, better order that Moët in Nebuchadnezzar size: the gen-two Volt is way more than a better battery. If the outgoing car were a promising college quarterback, the new edition is Aaron Rodgers. 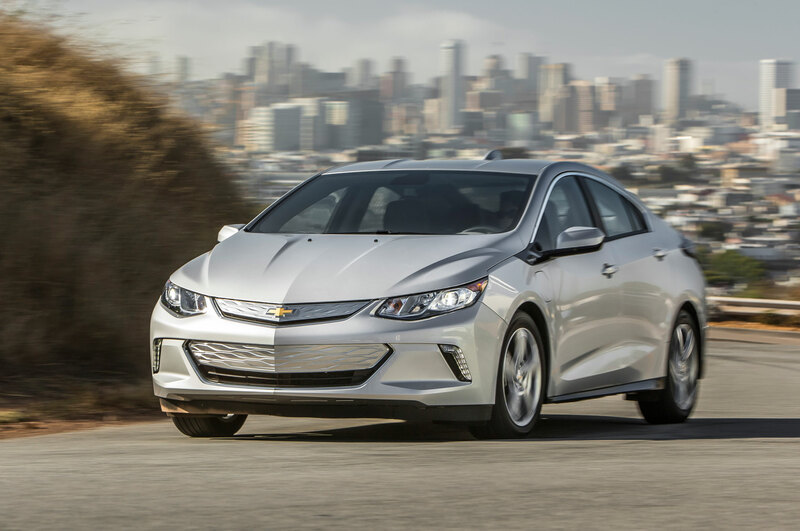 The 2016 Volt is that much of a step up. 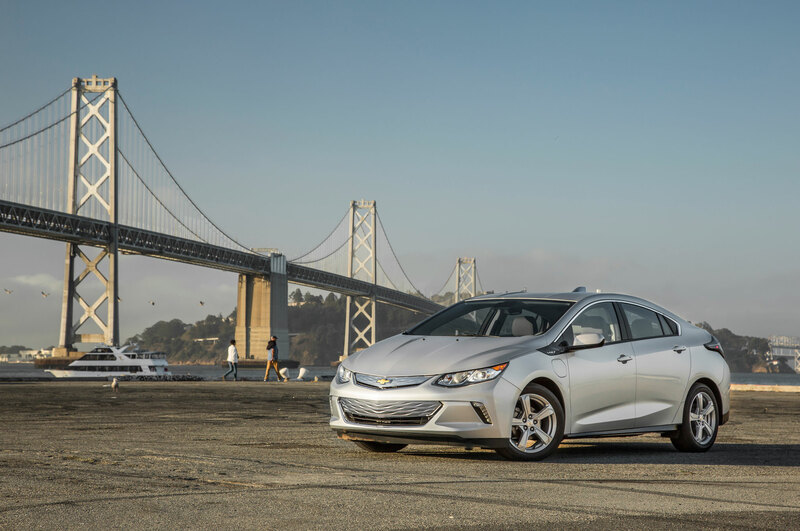 Outside, the 2016 Chevrolet Volt is a dramatic departure from the original. 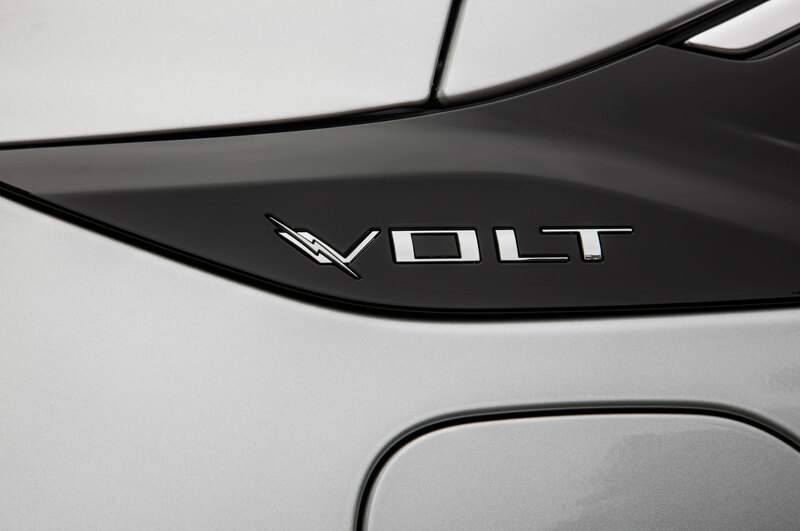 Everything — save the trademark “Volt” logos ahead of the side mirrors — is new. There’s a decidedly Civic-like arc to the body now. The hood has a lean “windswept” design, while the tail tapers without adversely affecting rear cargo room. 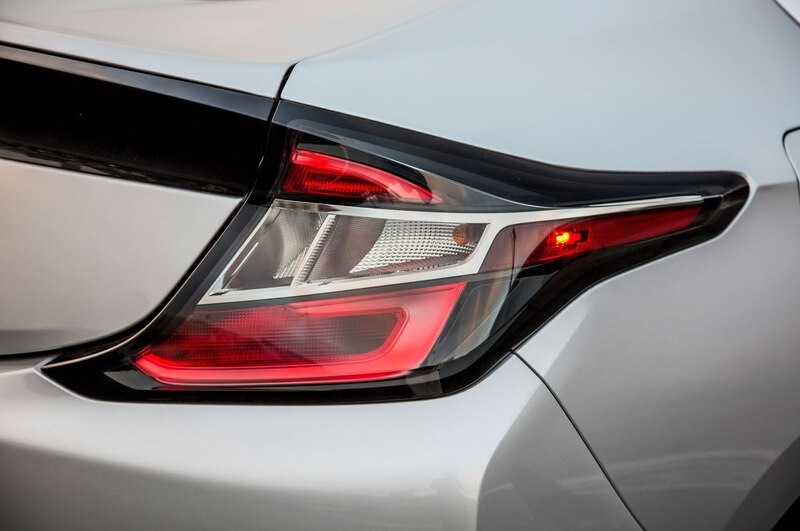 Overall, aerodynamics are vastly improved, including the sheetmetal itself, airflow-aware contoured taillamps, and a shutter system behind the front grille that automatically closes at highway speeds to block airflow and reduce drag. 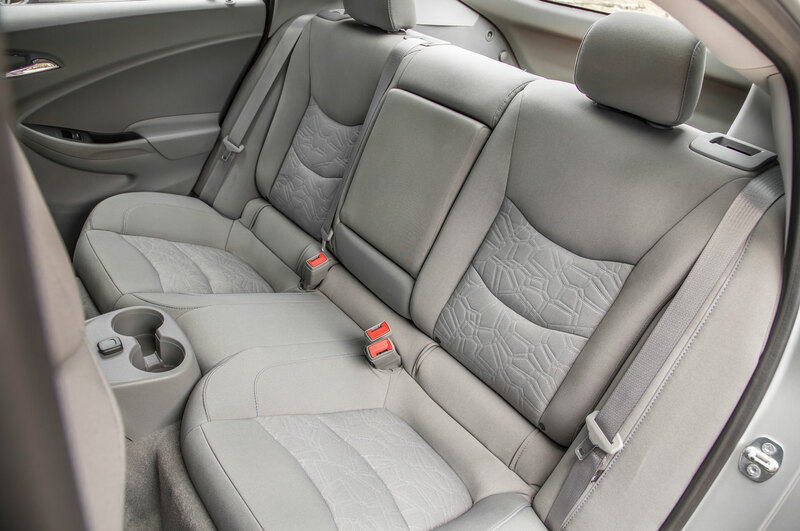 Also most welcome is a new rear bench seat that, in a pinch, can accommodate three passengers. 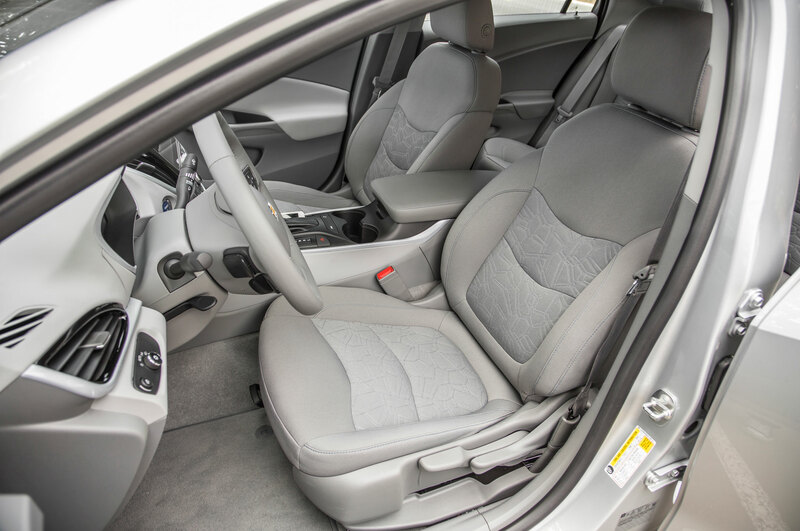 Admittedly, the vestigial center spot is a penalty box: It’s tight on headroom, and you have to split your legs around the battery box protruding from the floor. But for a quick run to the movies, it’ll do. Better than leaving the fifth rider out altogether. 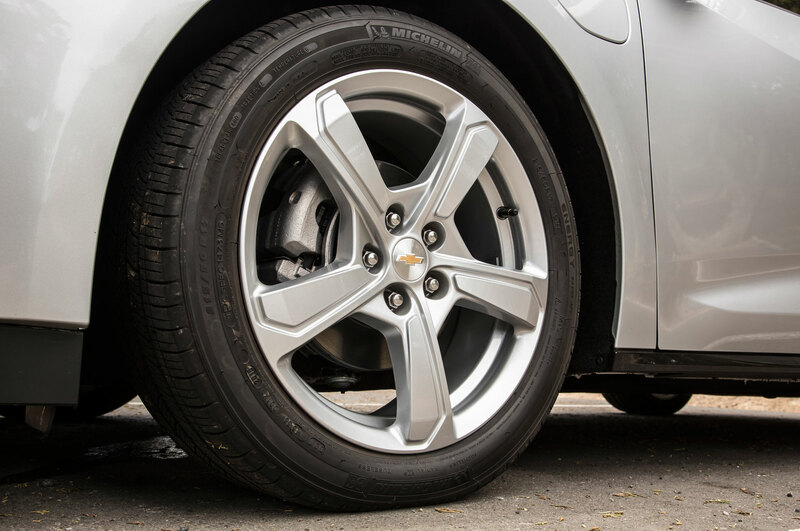 Vehicle chief engineer Andrew Farah is justifiably proud of the gen-two Volt’s brakes. “We spent a lot of time on feel,” he says. 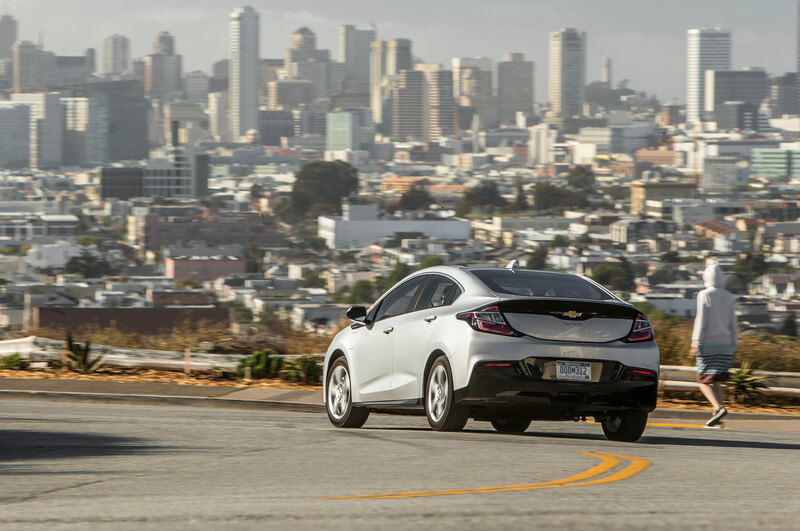 “I didn’t want that ‘regen’ artificiality when you step on the pedal.” Farah and team’s efforts paid off: The new Volt’s binders feel almost conventional. It’s easy to modulate them for smooth stops, and they’re strong and reassuring underfoot. Big thumbs-up. Steering response is also vastly improved. Initial turn-in is surprisingly quick; shift the wheel slightly, and the front end takes a bite right now. There’s decent feedback through the wheel, too — but don’t get your hopes up. Though it digs in early, the front end washes away fast. But, after all, this is a car designed for maximum efficiency, not handling thrills. 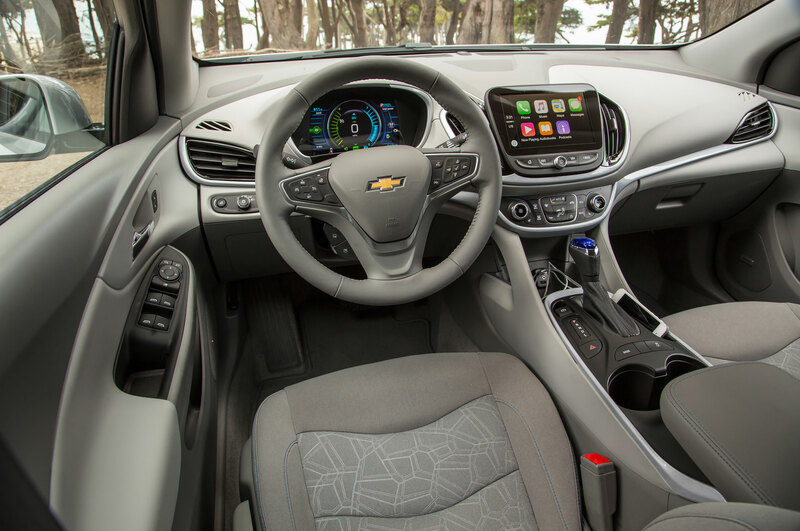 If not entertaining, the driving inputs are at least pleasing. 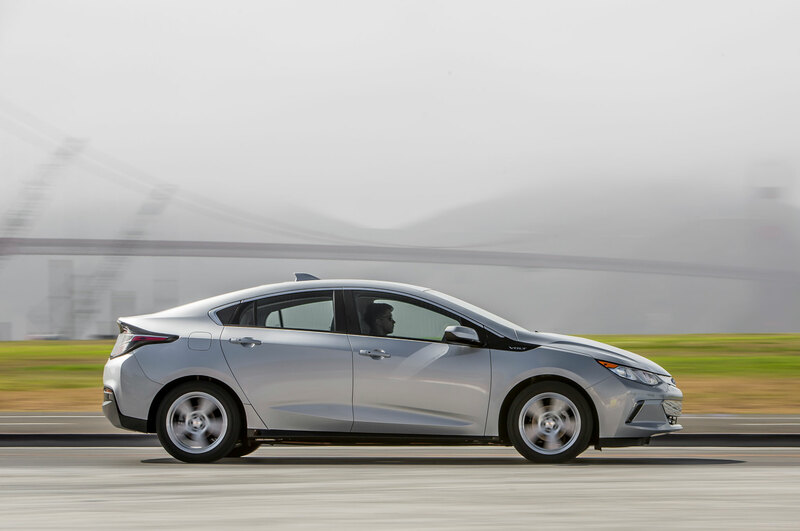 When running on electric power alone, the 2016 Chevrolet Volt is uncannily quiet. 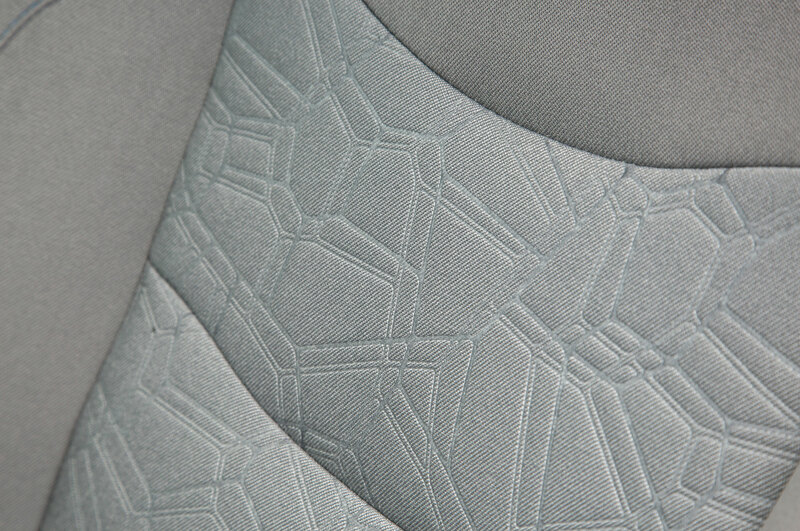 Almost no wind or tire noise intrudes into the cockpit — impressive, given the firm, low-rolling resistance rubber at each corner. 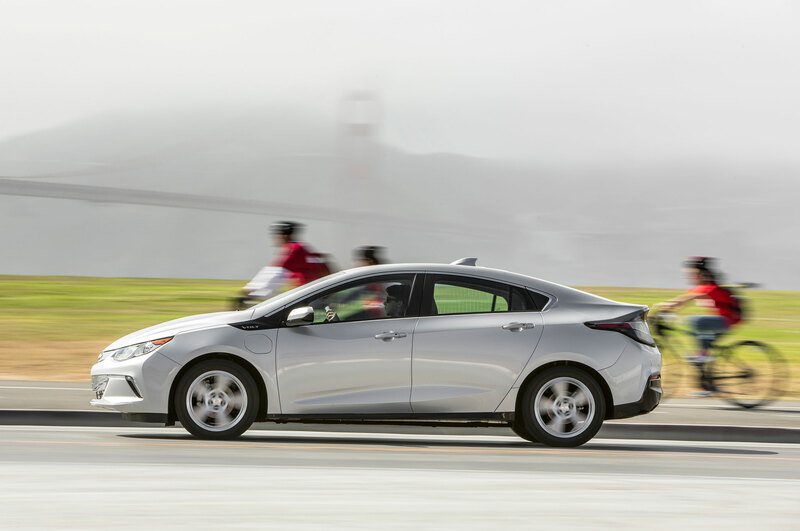 This is when the Volt really shines: There’s plenty of torque on hand, the car surges effortlessly up freeway entrance ramps, and you’re aware of the lack of conventional engine vibrations. The ride has improved from gen one, too. 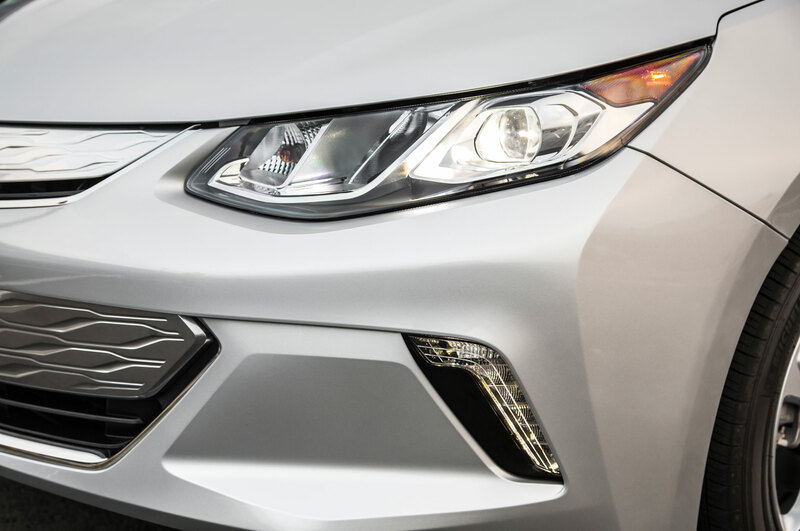 As before, four driving modes are available: Normal, Sport, Mountain (in which the motors and engine combine output for climbing steep grades), and Hold, which switches the car to extended-range mode to save battery juice. There’s also a nifty paddle behind the left of the steering wheel (just like a shift paddle) that activates Regen on Demand. 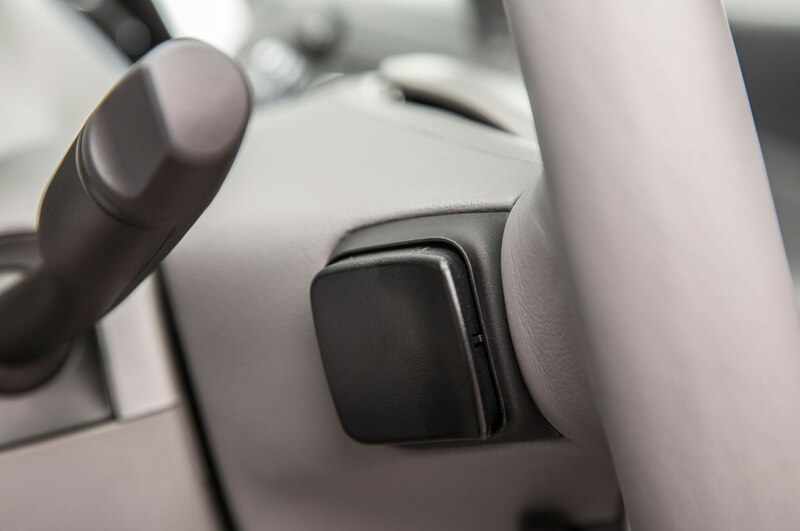 If you’re really looking to maximize every mile of electric range, simply pull the paddle (say, when heading downhill, approaching a stop sign, crawling through stop-and-go traffic) to activate the Regen system without having to step on the brake pedal. The system is surprisingly entertaining to use. Driving through a section of twisties, I found myself “left-hand braking” for many turns where I just wanted to erase a little speed. 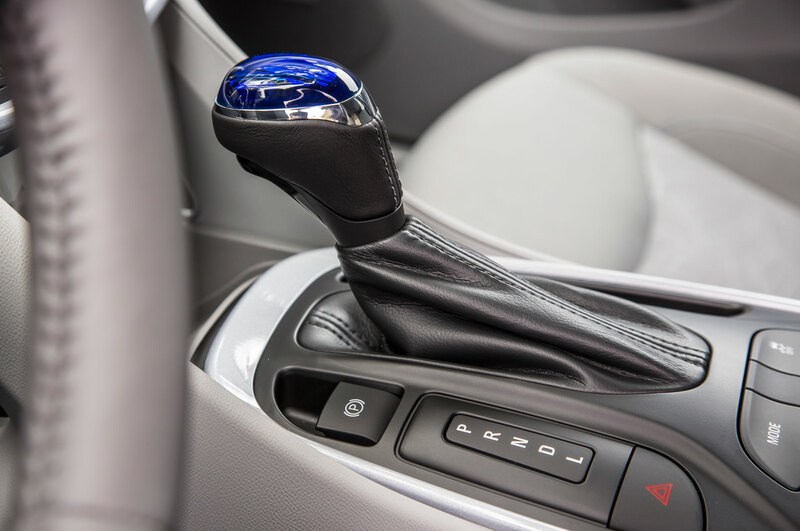 Besides, who wants to be bothered moving your right foot from throttle to brake all the time? 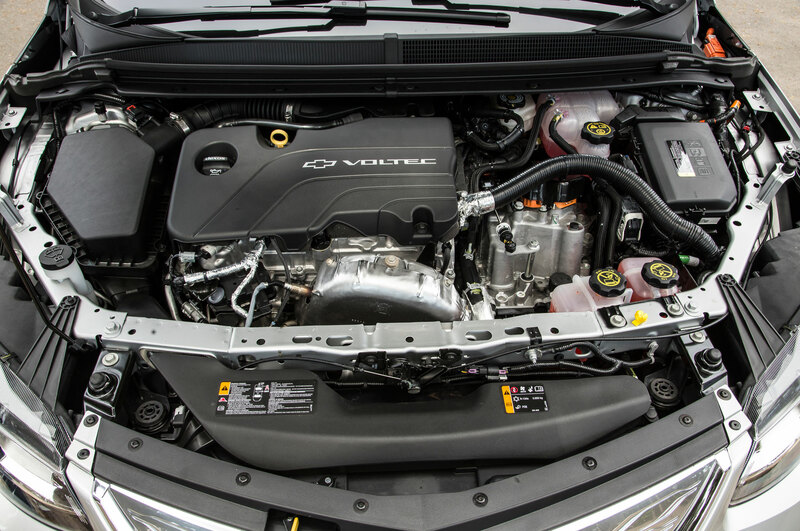 After the battery is fully depleted, the gas engine will start up to refresh the battery and keep you going for more than 350 additional miles. (The engine will only start when the battery is depleted, unless you activate it manually with Mountain or Hold modes; those first 53 miles or so are always all-electric.) 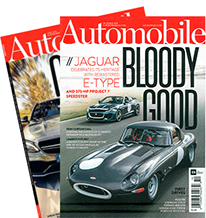 The experience in extended-range mode isn’t as enjoyable as pure-electric, largely because you can now hear and feel the gas engine (it’s not loud but it’s not invisible, either), and, more important, because there’s that same mismatch of vehicle speed and engine revs you feel in cars with a continuously variable transmission. There you are accelerating, and yet the engine note is steady, not climbing at all. Or the engine suddenly revs up and you’re not moving. It takes some getting used to, one of the quirks (or charms, if you’re an aficionado) of an EREV. 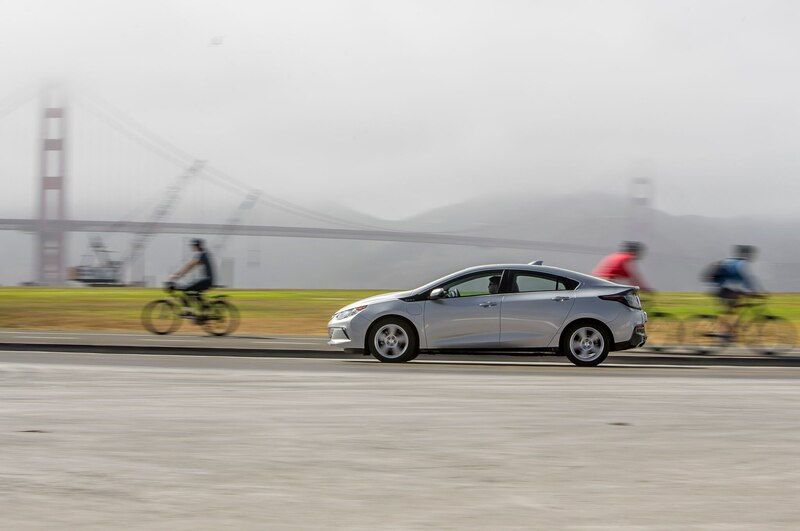 The new Volt is a gargantuan leap forward. Not only is it more capable, efficient, refined, versatile, and user-friendly than the original — it’s also cheaper. Base price is $33,995 — almost $1,200 less than the gen-one model. And, of course, buyers will actually pay even less than that. 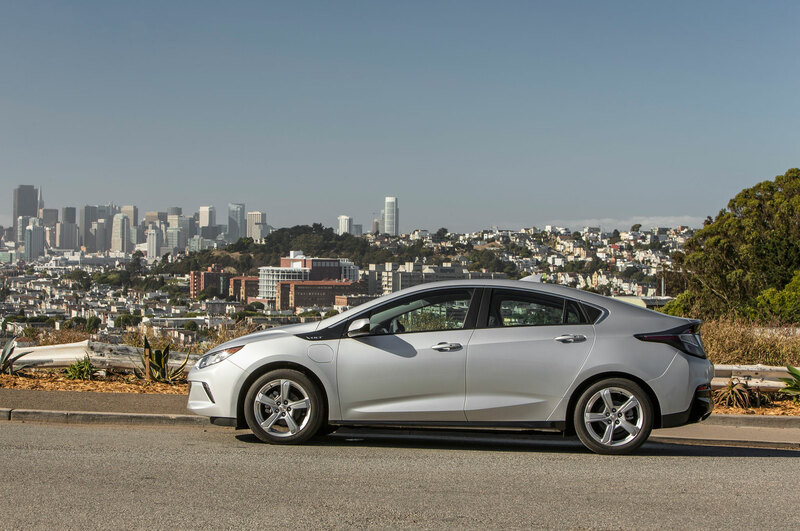 With federal tax incentives, pricing will drop to $26,495; California buyers, thanks to additional state incentives, will shell out as little as $24,995. 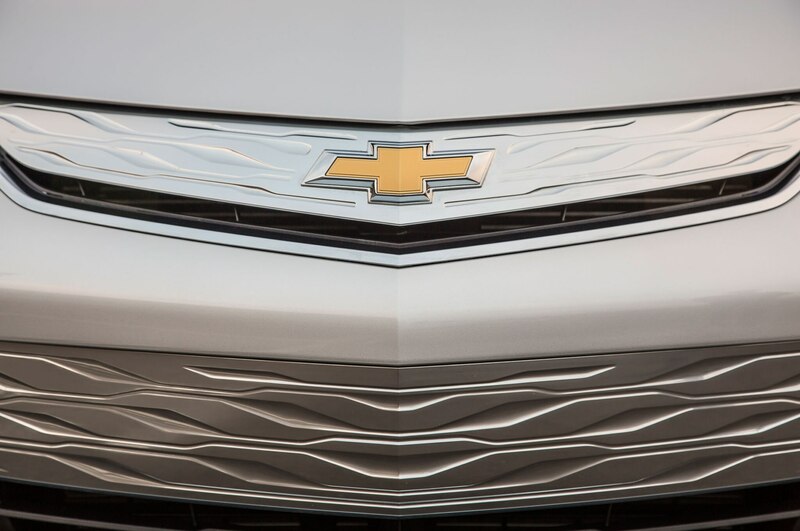 For a huge swath of buyers, there’s a whole lot to like with this new EREV Chevy. Especially the part that says: gas pumps optional. 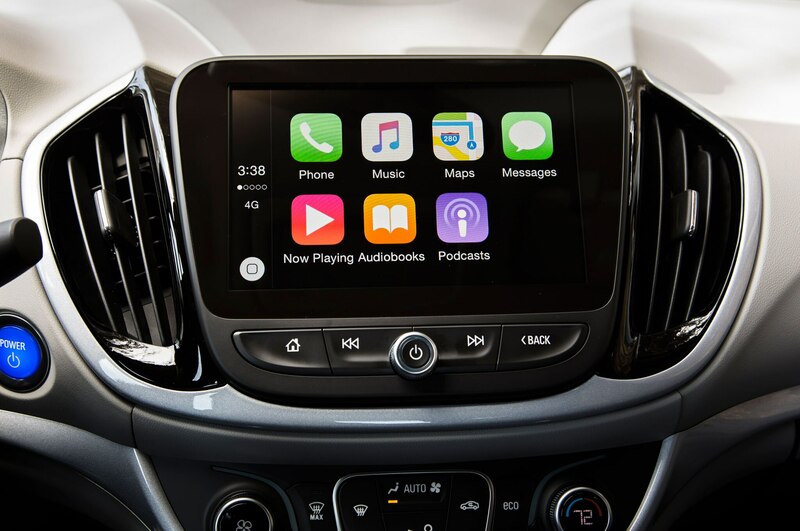 GM hopes to develop autonomous vehicle network. 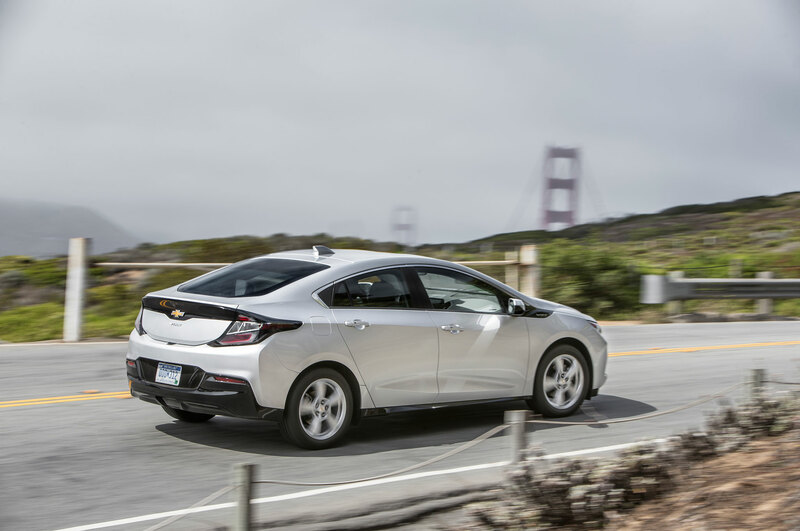 Beats old Volt by 15 miles, manages 106 MPGe.